The “Are You A Humboldt Honey?” poster is still sold locally. Its owner gave the Flapjack permission to reprint it here. The Humboldt Honey is the stereotyped hippie chick immortalized in the ’80s on the “Are You a Humboldt Honey?” poster. She represented everything natural and idealistic about the bioregion and its luscious ladies. 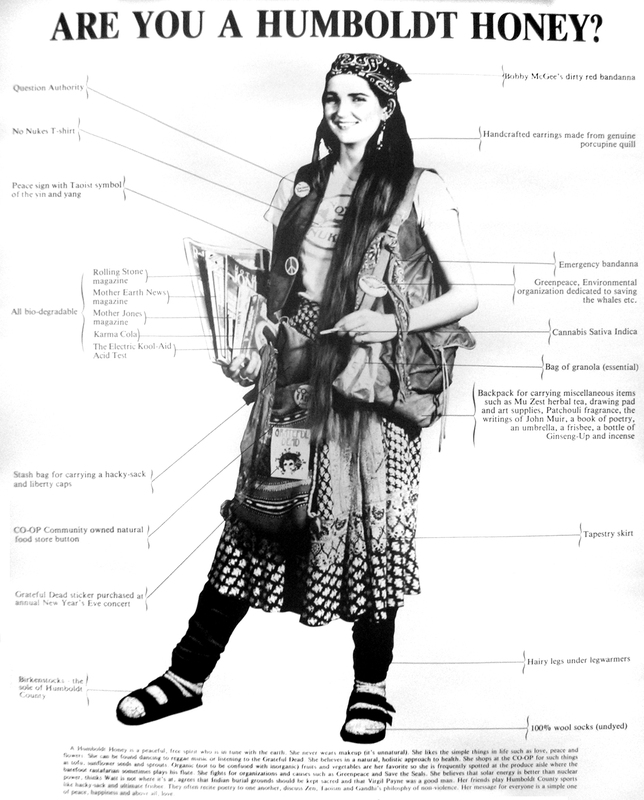 She is the free-loving, Co-Op shopping, Birkenstock wearing symbol of Nor-Cal counterculture. She was, anyway. 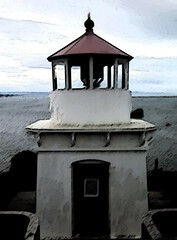 The Humboldt Honey is the literal poster child of our area, but where is the beloved archetype ? Has she moved on to greener pastures—could there even be greener pastures out there somewhere? Perhaps she transformed her look to give the sartorial finger to the mainstreaming of Bohemian fashion? 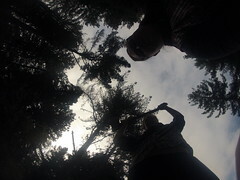 Answers are suggested rather than found in Humboldt county street style and pondered by local boutique owners. The “Are You a Humboldt Honey?” poster debuted in 1983. 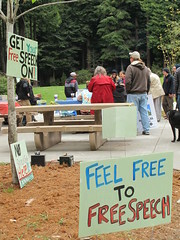 HSU journalism student Ingrid Hart created the image as a loving satire toward the un-styled styling seen around Arcata. The poster still enjoys steady sales at Picky Picky Picky in Eureka. But the Humboldt Honey still lives here. Her ideology remains strong. She is still wearing her values. She is writing letters to the editor, buying bulk organic food from the Co-Op and walking around the farmers market with a big basket of kale, flowers and veggie starts. But she doesn’t wear her signature look anymore, so what is she wearing? Her patchwork skirt is now organic cotton yoga pants. Her socks and ‘stocks combo are exchanged for a pair of knee-high weatherized boots. Her vest and t-shirt might still be there under her hoodie (or Patagonia jacket in inclement weather). Her cross-body tote proves itself as the low profile replacement for her bulky backpack. The modern Humboldt woman’s political badges are now stickers on an iPad case, where her magazines assume eco-friendly digital incarnation. Her tea is yerba mate. Honey still makes her own jewelry at Heartbead. She discovered leg waxing at Soul to Soul Spa, where she stocks up on the fountain of youth—a.k.a Éminence Organic Skin Care. 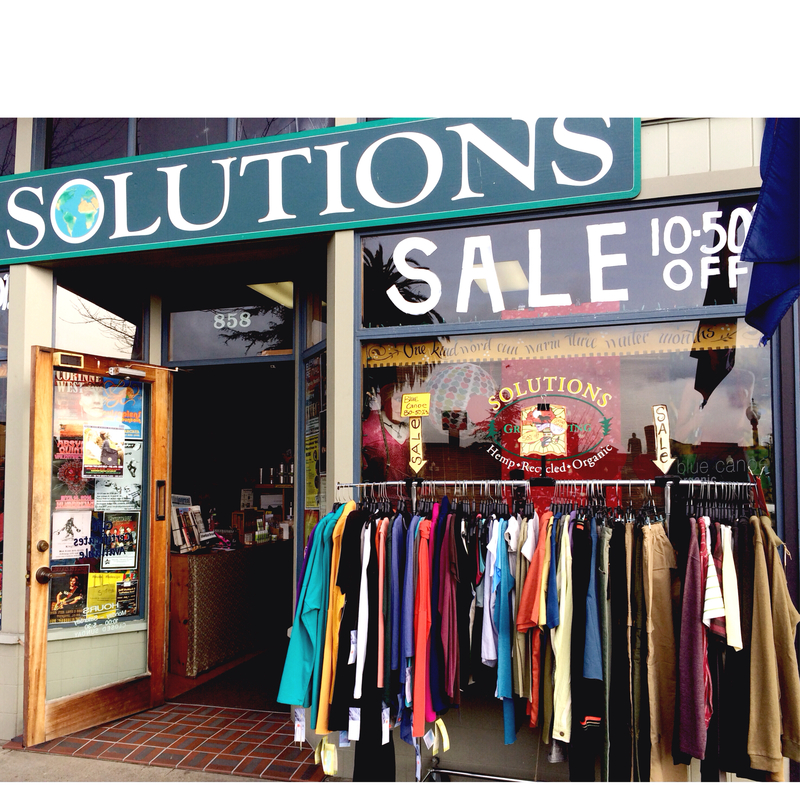 The Humboldt Honey of yesteryear bought her wool socks, hacky sack and hemp bag at Solutions (the eco-outlet on the plaza). She still shops there, but her purchases—like their Plaza relocation—are decidedly more refined than they were back then. The 24-year-old boutique matured their selections right along with the Humboldt Honey. Organic cotton yoga-wear and casual luxurious dresses in bamboo, hemp, share the store with eco-friendly shoes, bags, and housewares. The iconic hacky-sacks and disc golf discs are still in strong supply. Anyone looking to blend in with the locals at the next farmers market can find idealistic sartorial bliss in the rich array of boutiques encircling the Arcata Plaza. True locals honeys hit Solutions for loungewear, HeartBead for jewelry, Belle Starr for hats, Humboldt Outfitters for hoodies, Willow and Rags for expressive graphic tees, and Pacific Outfitters for stylish, all-terrain boots. They score an “it” bag and skin care at Soul to Soul Spa boutique. When the shopping mojo is maxed out, lovely ladies sport the new luxe local style in the fashion parade that is the line for coffee at Brio café. After all, someone could be model scouting for the “Are You the New Humboldt Honey?” poster at this very moment.